My poem, Not Only Are You Known, is a poem of great encouragement. 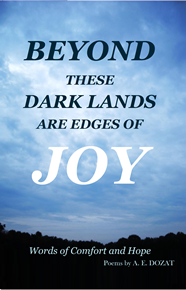 It is from my book of poems, Beyond These Dark Lands Are Edges Of Joy, Words of Comfort and Hope. 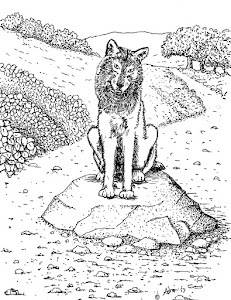 This is a book that will uplift and encourage someone who is going through difficult times. I chose this title because I wanted to cause a little curiosity about God's knowledge of you. Of course, as an all-knowing God, he knows your existence, but I want to prompt that there is more to it than that. Yes, God knows you, but that is only the beginning. Each of these "God knows you" statements reaffirms God's love and acceptance of you. In lines 13 - 22 the poem leaps to the ultimate affirmation of God's love where He knows we needed a savior and He provided one. On the surface, this appears to be about how God knows you with all your imperfections; but it concludes by saying that God knew that you needed a savior and sent Christ to be our salvation. The poem assures the reader that although God knows your failings, He still desires to have a relationship with you. 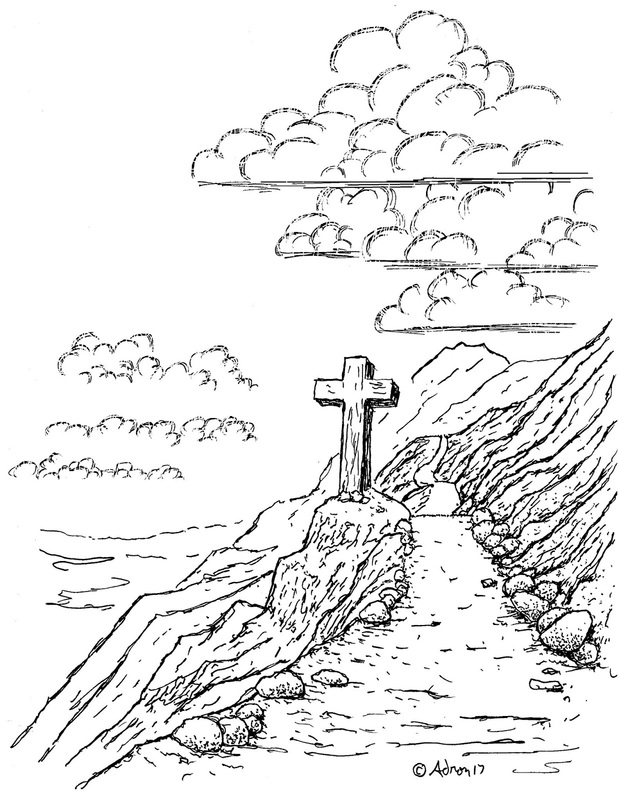 Illustrations of a road unite the poems of this book. 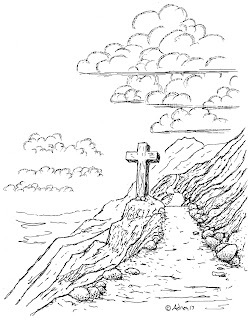 For this poem, I drew a cross beside a mountain road to emphasize The Savior who died to pay for our sins. This poem is for a person who feels that they could never come to God because they are too evil, or have committed some unforgivable sin. This poem helps them to see that God knows their failings and still sent His son to become their Savior. No matter how far you are from God remember that Christ is still the way back. For digital downloads CLICK HERE, $2.99.